The Airbus A380 superjumbo is so quiet it's stopping pilots from sleeping during rest breaks on long-haul flights, according to reports. Flight International says Emirates pilots have complained that the lack of engine noise is preventing them from sleeping in the crew rest area. The constant buzz of engine noise usually drowns out the sounds of passengers, but pilots says they are being kept awake by crying babies, flushing toilets and call bells. The airline has asked Airbus for a solution to the problem, the website reports. 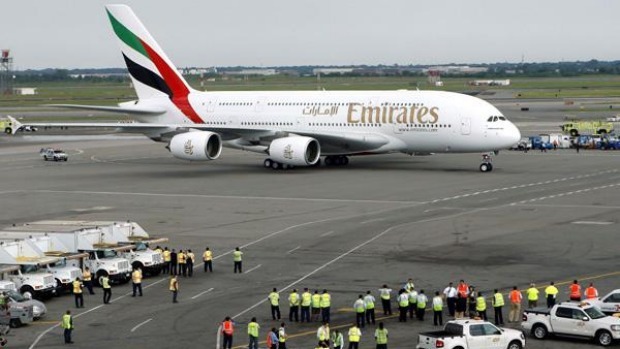 "We are expecting to hear back from them by the middle of the month," Emirates senior vice-president, fleet, Captain Ed Davidson is quoted as saying. "We're getting a lot of complaints. It's not something we expected," Davidson said. "On our other aircraft, the engines drown out the cabin noise. (On the A380) the pilots sleep with earplugs but the cabin noise goes straight through them." Flight International says the interior layout of the Emirates A380, which is different from that of Singapore and Qantas' superjumbo interiors, places the crew rest area at the rear of the main deck, rather than behind the cockpit.